Apple publicly fought the FBI in 2016 over issues related to privacy, encryption, and an iPhone used by a terrorist. Texts between FBI employees released earlier this week give a peek into how some agents saw the battle. In February 2016, as Apple and the FBI were quietly sparring over how to unlock an iPhone owned by one of the perpetrators of the mass shooting in San Bernardino, California, two FBI officials unrelated to the case back in Washington DC were privately discussing their distaste for Apple CEO Tim Cook. “I know. Hypocrite,” Lisa Page, a lawyer for the bureau, replied minutes later. A week after that exchange, the strained relationship between Apple and the nation’s top law enforcement agency became international news when Cook wrote an open letter explaining why Apple would not create special software to unlock the shooter’s iPhone, defying a request to do so by the FBI. 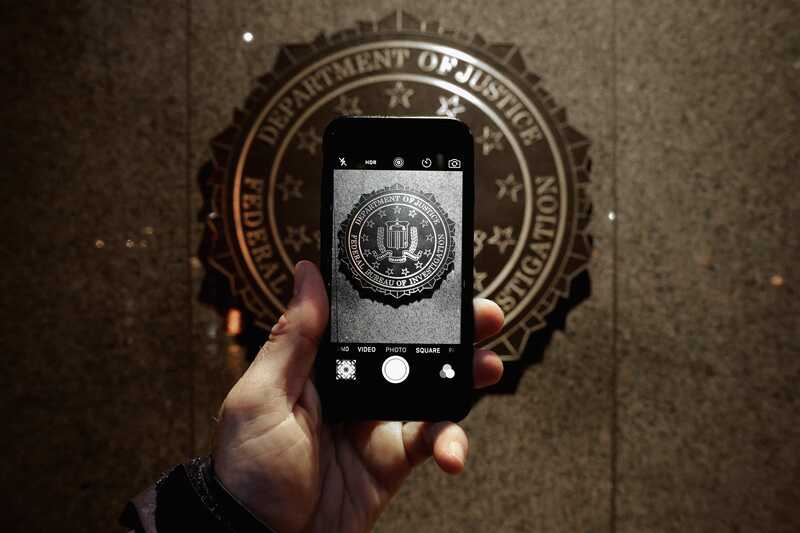 The FBI eventually dropped the request because it found a third-party vendor who was able to extract data from the iPhone 5C without Apple’s help. The exchange between FBI agents Strzok and Page is part of hundreds of pages of bureau text messages recently published by the Senate Committee on Homeland Security and Governmental Affairs as part of a Republican-driven investigation into how the the bureau handled the Hillary Clinton probe. 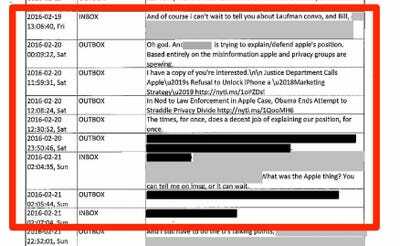 While the texts may not reveal a “bombshell” conspiracy inside the FBI related to the Clinton investigation, they do provide a revealing window into how some people inside the FBI reacted to the standoff with Apple. The discussion is a long-running, unguarded conversation between two people who were close to each other and their opinions cannot be taken to represent all FBI agents. Earlier this year, for instance, a FBI agent in San Francisco publicly praised Apple and its willingness to work with law enforcement. Although Strzok nor Page were apparently on the Apple case, at one point, Page appears to have been told who the FBI contracted with the ultimately unlock the phone without Apple’s help, which remains a public secret. Comments that appear to provide revealing information about the third-party is redacted in the published texts. The two FBI employees seem to be sceptical of Cook and Apple throughout their text relationship – although they were also critical of many other people and institutions including politicians, newspapers, and foreign spies. The two also lament that it appeared to them as if Apple had won the public relations battle over the phone. The battle between Apple and the FBI had not yet broken out into international news. On February 9, then-FBI director James Comey announced that the bureau had not been able to access data on an iPhone 5C used by Syed Farook, who had committed a mass shooting in San Bernardino, California. “We still have one of those killer’s phones that we have not been able to open,” Comey said. It was then that both Page and Strzok started following the issue. “And what makes me really angry about that Apple thing? 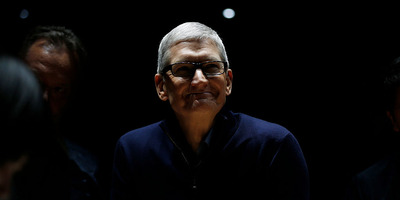 The fact that Tim Cook plays such the privacy advocate,” Strzok wrote. “Ha, I had mine already turned off. Apparently I’m paranoid,” Strzok wrote, although it’s unclear which iPhone feature he’s talking about. Five days after Cook wrote a letter to Apple customers on the front page of Apple.com, the two discuss Apple once again. “Oh god. And [REDACTED] is trying to explain/defend apple’s position. Based entirely on the misinformation Apple and privacy groups are spewing,” Strzok wrote. He then sent Page a link to two differentNew York Times articles about the controversy. “The times, for once, does a decent job of explaining our position, for once,” he concludes. “You can tell me on imsg, or it can wait,” she continues, suggesting she knows that these texts are being recorded. iMessage, Apple’s messaging service, is end-to-end encrypted, which offers additional privacy benefits. It wasn’t the first time that the two had discussed the trade-offs between computer security and law enforcement priorities. In 2015, Page had sent a link to a blog post about a government court filing about Apple’s encryption, noting, “Still, I like the reasoning. Yay imsg”. 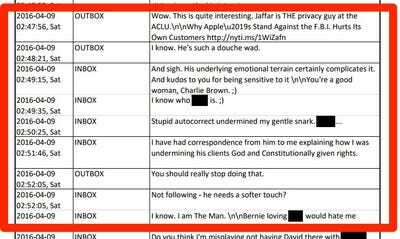 Page sent Strzok a link to a New York Times article with a comment that is redacted in the public version of the texts. 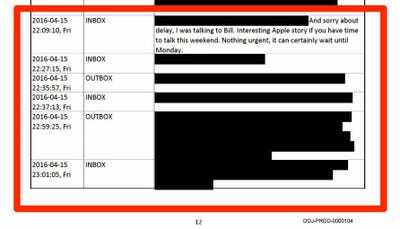 The fact that the section above is redacted suggests that the information relates to the mysterious third-party that cracked the iPhone. April 9, 2016 – What does the ACLU say? The two FBI employees discuss a New York Times op-ed written by Jameel Jaffer, then an ACLU attorney. 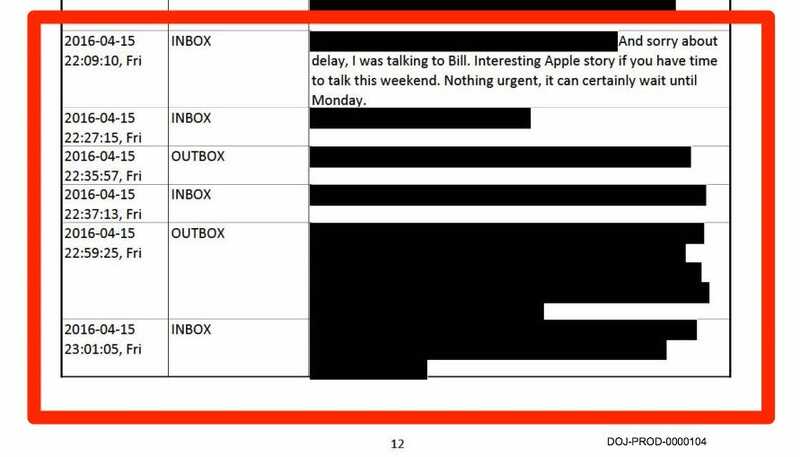 Strzok teases an “interesting Apple story if you have time to talk this weekend.” The next several replies are redacted. Although there’s no link, it’s likely this story about the FBI’s Hillary Clinton investigation. The subsequent discussion that reveals how some people at the FBI feel about the country’s most valuable technology company – the love the products, but dislike the people in charge. 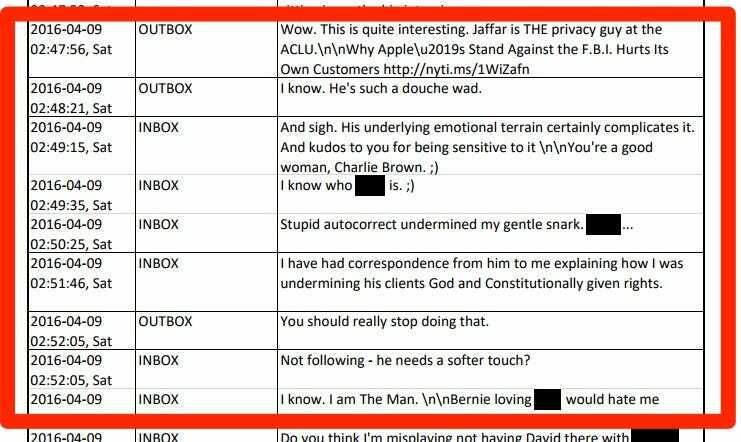 The text also suggests that Comey, as bureau director, has a personal iPhone that he likes. The two FBI employees gawk at Clinton campaign chairman John Podesta’s emails, which had recently been leaked at the time by WikiLeaks. A list of possible vice presidential candidates include Cook.